A co- worker asked if I would make a 40th Birthday card for her with a flower on it. that I had just recently won! Woohoo! I hope she likes Poppies! Verve Stamps. If you have never seen or used Verve Stamps…I highly recommend them!! They stamp beautifully and are really good quality!! I have been a huge fan since I started stamping! Here is a link to their blog as well! I used my Cricut to make my letters and numbers and the word birthday…. is actually part of a stamp from Close to My Heart. I used a MS border lace punch and lots of pop dots! 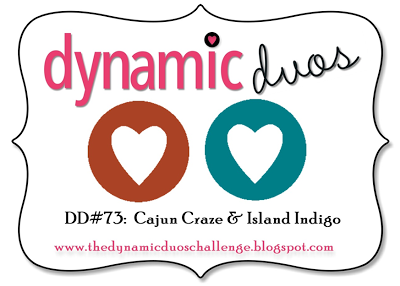 I am linking this up to the Dynamic Duos color challenge this week. My colors are a little lighter but in the same family, so I hope it’s okay…fingers crossed! Thanks for checkin’ in on me…I love when you stop by! I will be back tomorrow with a great card based on a sketch from Seize the Sketch! 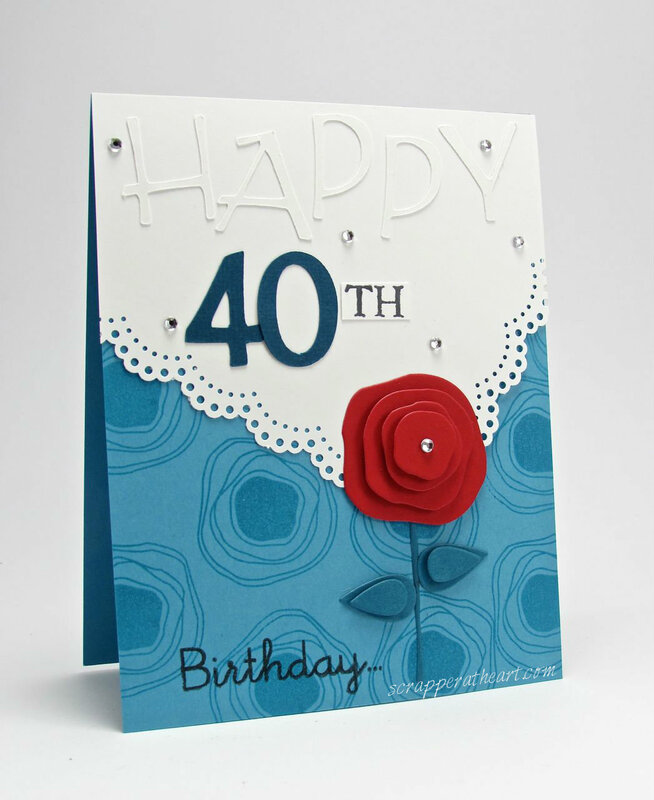 Categories: Cards | Tags: 40th Birthday card, Card making, Cards, color challenge, Cricut, Happy Birthday, rubber stamps, Verve Stamps | Permalink. Wow Nancy!!! This is fabulous! I love the layered petals…just perfection! Well good for you winning Verve!! Love your card – that flower is just too cute! Beautiful card, Nancy! Love your new Verve goodies! That birthday card is adorable! I love, love, love everything about it! You rock! Love everything about your card. The colors are perfect together and your stamped background is fabulous, along with that pretty punched border. I love the way you put the white lacy paper on the top of the card, Nancy, and that stamp and die look great. Really fun cards, love your design. Thank you so much for join us this week at Dynamic Duos! 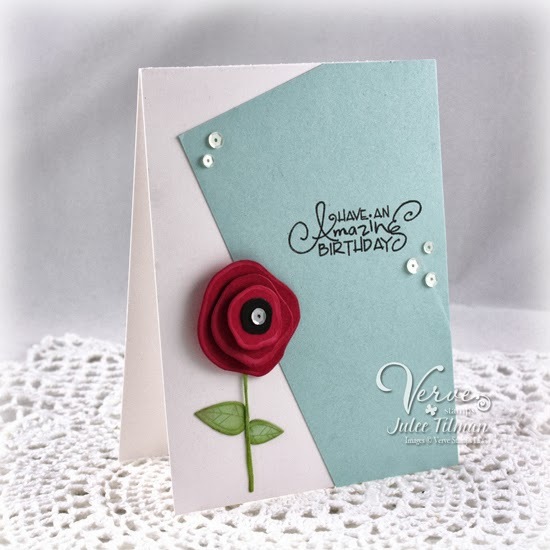 LOVE your card and the red poppy against that vibrant blue! LOVE how you popped your leaves too! Just FAB!